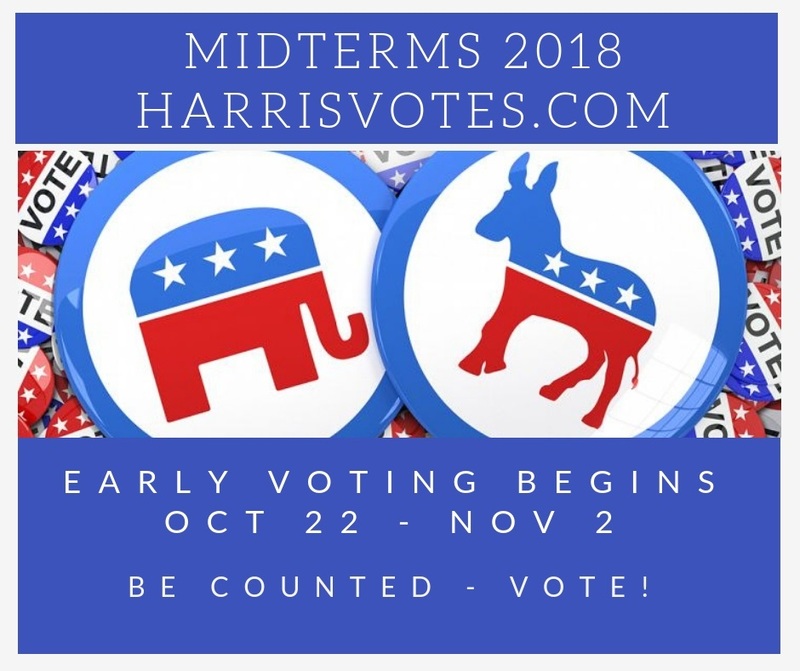 Early voting in Harris County begins Oct. 22 and ends Nov. 2. During early voting, voters can go to ANY polling place. It is more convenient to vote early! On Election Day, voters in Harris County must go to the polling place of the precinct where they are registered to vote.